Breaking Lord Of The Rings News! Oh, sorry. I meant to say Shannara. Deadline is reporting that MTV has signed a deal to develop a series based on the books. Jon Favreau is attached to direct the series, which will be written by Al Gough and Miles Millar. Why am I not excited about this news? Well, first the choice of networks scares me a little bit. I don't know if the network will have put out the budget for this or if MTV's audience will be open to epic fantasy. Second, I don't care about the Shannara books. 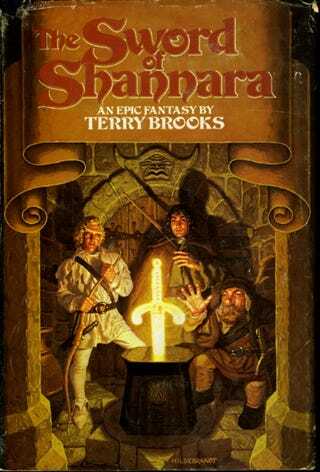 I tried to like The Sword of Shannara, but just couldn't get there. I hear they get better, but I honestly don't care.